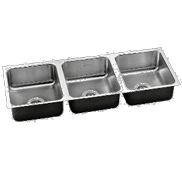 Heavy duty industrial grade stainless steel armor series sinks and heavy duty plumbing fixtures. 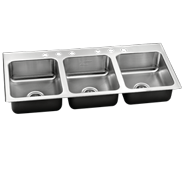 Since 1933 Just Manufacturing stainless steel commercial sinks and fixtures have been specified for sink projects worldwide. 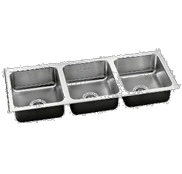 The need for triple bowl heavy duty industrial grade stainless steel drop-in and undermount sink products that are corrosion resistant, impact resistant, heat and fire resistant is apparent in high-use environments.